Some travelers might want a palatial, resort-style vacation rental with all the bells and whistles. But, others prefer a quaint vacation that reminds them back to the simpler times of Old Florida. 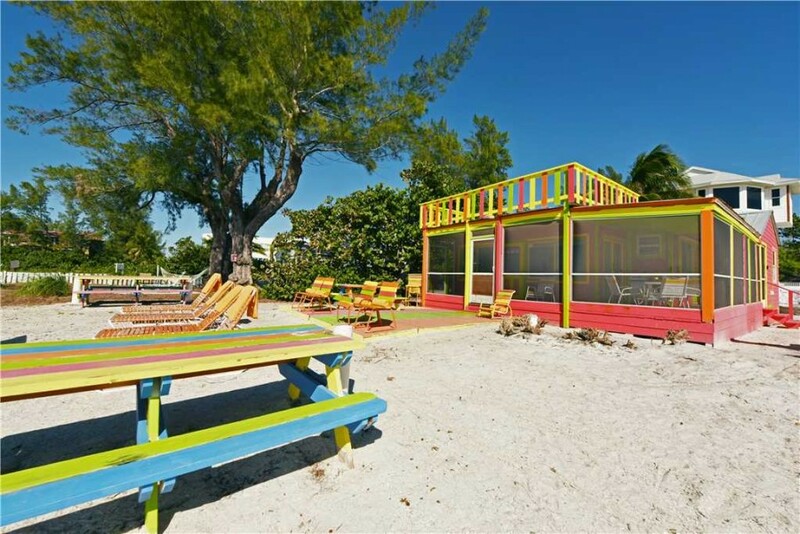 Anna Maria Island beach cottages that can take you back 50 years to the laid-back, small-town island life that defined Old Florida – as Anna Maria Island remains one of those few destinations that has resisted overdevelopment. We’ve put together a list of a few of our favorite Anna Maria Island cottages that are right on the island’s sandy shores. 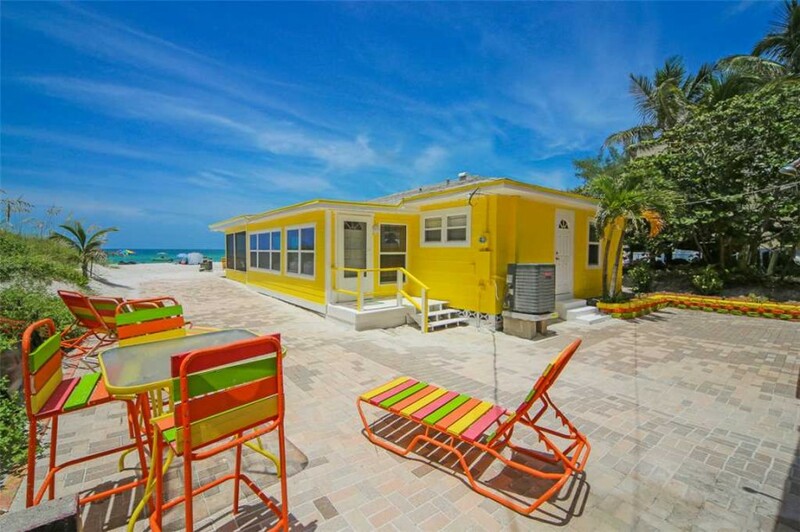 This Gulf-front, bright yellow duplex might be one of the cutest Anna Maria Island cottages. It’s quaint, with a large screened-in front room. Located just steps from the beach, this small, one-bedroom, one-bathroom has a king bed, fully equipped kitchen, and cable TV. It’s located on a quiet dead-end street in Holmes Beach. Walk to nearby restaurants or have a cook-out on the included charcoal barbecue. Low Tide, and its sister unit High Tide, are two of the island’s best beachfront cottages. 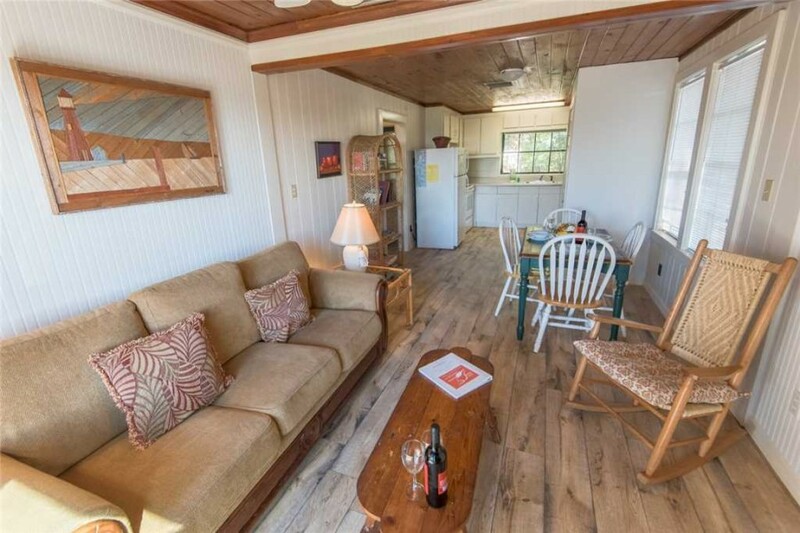 Located in Anna Maria on the north end of the island, this elevated gulf-front cottage is perfect for small families to enjoy a laid-back week directly on the water. With private, direct access to the island’s beautiful beaches, these cottages offer a rare opportunity for beachfront on a budget. The front deck is the perfect place to enjoy breakfast with the ocean breeze in your hair. The modern interior features wood floors, simple furniture, and tranquil, minimalist design. The cottage has two bedrooms, one with a queen and the other with two twins, and one bathroom. Porch lovers, rejoice. This colorful beachfront cottage has one that wraps around the property, overlooking the gulf waters. Walk out front door and find yourself on Anna Maria Island’s powered white sands. At this beachfront cottage, Old Florida design meets funky surf shack. The candy-striped exterior matches the funky interior, completed with colored floor tiles and matching furniture. The kitchen features a bar, as well as modern appliances. en-suitetion rental sleeps four in two bedrooms – a king with an on-suite bathroom and a room with two twins. If you’re planning to bring along a four-legged friend, this might be the place for you. For an extra fee, pets are welcome in the White Sands cottage in Holmes Beach. While this stunning home might not be considered a cottage, it has a similar old Florida vibe and is big enough for the whole family. Located in the City of Anna Maria, Sunchase Villa is ground level beach cottage offering 4 bedrooms and 4.5 bathrooms. The house features modern interior design, with a large master bedroom and tons of character. Right across from the turquoise waters of the Gulf, it has a large screened-in porch with plenty of comfy furniture overlooking the trees, sand, and water. Grab a drink and sit outside listing to the waves and watching the sunsets or walk to one of the many restaurants for dinner. Life is a breeze when you stay in this coastal cottage. The vibrant colored beach house has two bedrooms and 2 bathrooms, sleeps a total of 4 guests. The tropical-themed interior design complements the laid-back beach vibes of Anna Maria Island. You’ll have tons of space outside complete with plenty of seating to sunbathe or enjoy an evening meal with the family. 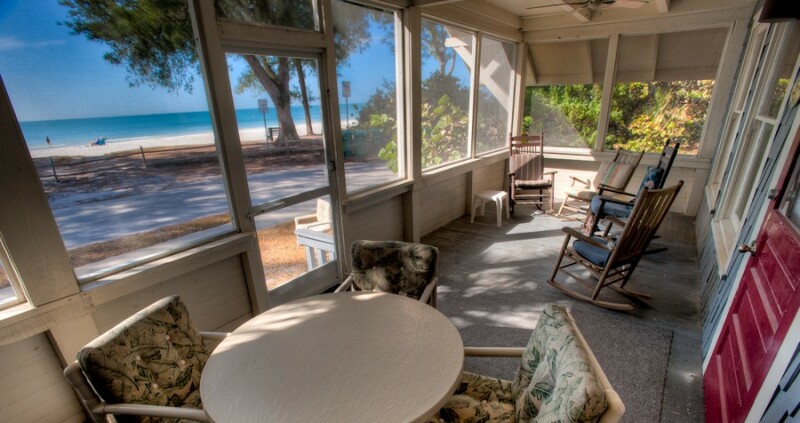 Sit on the screened porch reading a book while the kids wander back and forth from the air conditioning to the beach. This beachfront home makes it easy to enjoy the convenience of both whenever you want! These are just a few of the many beachfront properties we have to offer. For a complete list of options, check out our available listings for your preferred dates online. 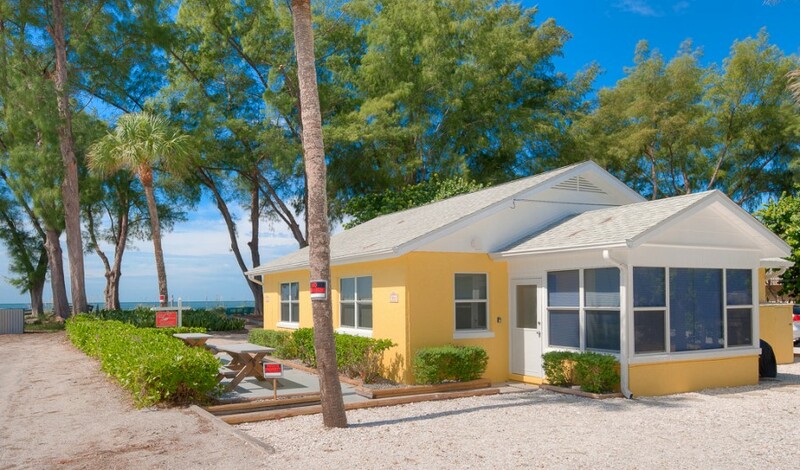 With a range of home styles, sizes, and prices, our Anna Maria Island beachfront rentals offer something different. Book your dream vacation cottage today online or by calling 941-778-4178.